NO PREP – PRINT AND GO LESSONS FOR TEACHERS!!!!! A great way to learn and teach AVOIDING COMMA SPLICES!!! Do you receive papers that are one LONG sentence? Or do you get essays that are choppy and hard to read? Are you looking for a thorough way to incorporate both standards based and 6 Traits writing in your classroom routine? Here is EVERYTHING you need to start helping your students use SENTENCE FLUENCY and correct GRAMMAR in their writing today! 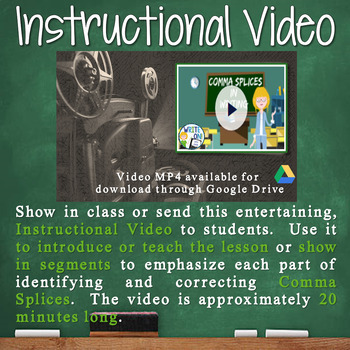 This lesson focuses on incorporating AVOIDING COMMA SPLICES throughout all types of writing. 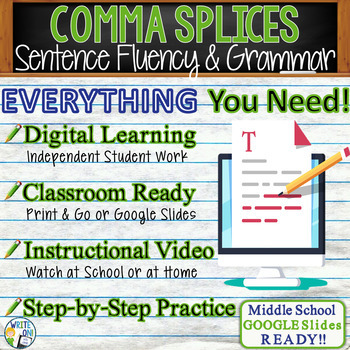 The students will be introduced to how to identify COMMA SPLICES to enhance SENTENCE FLUENCY. Additionally, the lesson discusses the various methods of correcting COMMA SPLICES and addresses SENTENCE FLUENCY in the 6 Traits in Writing. Finally, the lesson includes NUMEROUS examples containing COMMA SPLICES and how to properly rewrite them. 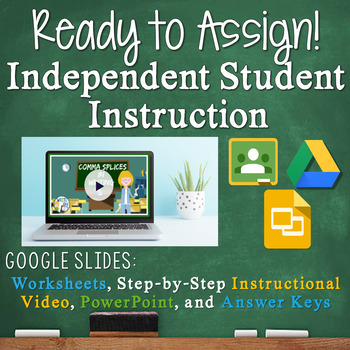 These examples are included on the student worksheet, so the students can not only interact with the SMARTBoard/White Board, but also can make the same corrections and identifications on their worksheets. 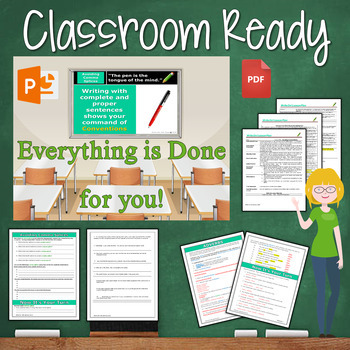 SMARTBoard users will find interactive slides, while PowerPoint users can project the slides onto a regular white board and have the students use regular dry erase pens. BUY THE FULL SENTENCE FLUENCY AND GRAMMAR Unit (10 Complete Lessons listed above) FOR ONLY $26!!!! Link-Middle School – Sentence Fluency and Grammar in Writing BUNDLE - 10 LESSONS!!!!! This bundle download has all 10 lessons, will save you over 30%, and will give you everything you need to help your students increase their SENTENCE FLUENCY and use correct GRAMMAR! If you enjoy this product, please FOLLOW MY STORE and don't forget to LEAVE FEEDBACK!